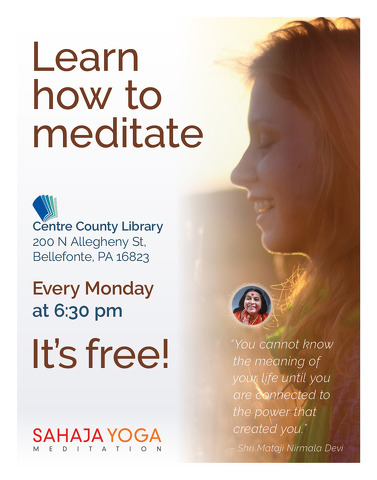 Learn how to meditate. Anyone can do it. It’s also free! Meditation brings a complete shift in your perspective – towards your family and friends, towards yourself, and towards your community. Through meditative introspection, we build a better community and a better society. Sahaja Yoga meditation is a simple, time-honored technique. It helps reduce stress and increase wellness. It brings better focus and helps people become more centered and better balanced. Anyone can do it. It’s also free.